Gera, the city where Otto Dix – one of the most distinguished artists of the 20th century – was born, has approximately 100.000 inhabitants. It’s the third-largest city in the Free State of Thüringen (in English also called Thuringia). On these websites you find all the details about the city, its economy and culture, tourism and many more sections. With great effort we have selected the most interesting facts for you. 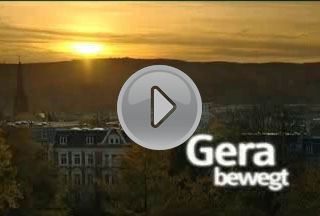 Our official website is packed with suggestions for leisure-time activities and with places of interest in and around Gera; and it summarises the facts about Gera and the region as a business location. We hope you enjoy browsing through our websites and feel inspired to discover Gera for yourself. Whether your stay business-related or you're here as a tourist – the visit will always be worthwhile.